Should I Buy a Miele Delphi or Titan? 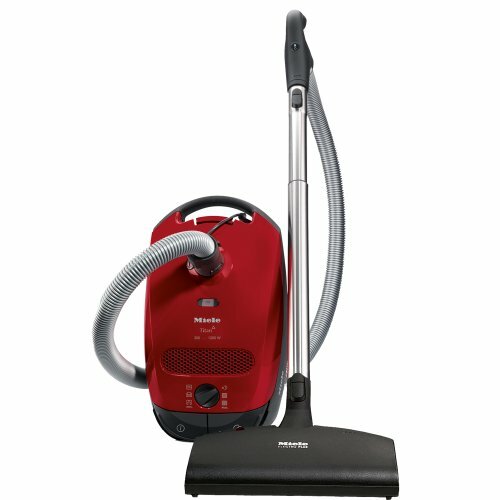 If you are here to clarify which of the two Miele S2 canister vacuums -- the Delphi or the Titan -- is right for you, then you are in the right place. Below, is a brief & objective comparison article which points out both their differences as well as referring to their similarities within vacuum specifications & features, to ultimately create a clear view as to which one is specifically suited to your cleaning needs (note: for a quick answer, head straight to the conclusion). The Miele S2: Delphi & Titan are both equipped with the same powerful 1,200 watt Miele constructed VORTEX motor with an enclosed protection function -- which allows both canister machines to perform an exceptional cleaning job on all floor types (to an such extent that the entire S2121 range has been awarded the well regarded 'Good Housekeeping' seal of approval). They work on a six option rotary dial mechanism that alters the suction power & air-flow in order to optimise cleaning with various floor types (for instance, a different air-flow setting would be provided for cleaning a rug compared to hard-flooring etc. ), hence allowing for a better 'overall' cleaning performance. 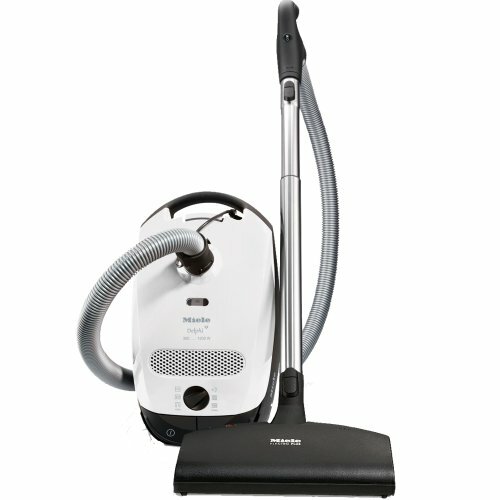 Both versions of the Miele S2 come in at the same weight -- hence are "exceptionally lightweight" (especially considered with the usual Miele Canister range, weighing in at around 13 lbs) and are hence easy to use and agile on all floor types (as well as not being too much hassle to carry up & down the stairs) -- which is a particular highlight within pretty much all Miele S2 reviews. Hence, being a very suitable vacuum for those who are perhaps elderly or have mobility restrictions. Moreover, you can see that it is a fairly compact vacuum cleaner as well and hence is easy to transport (if needs be) and store away. The Titan & Delphi have also been designed for economic power efficiency & with the utmost practicality in mind such as its extensively wide 29.5 ft cleaning radius through a fitted stainless steel telescope wand (which has a built in XXL handle to provide ergonomic convenience) as well as a huge bin capacity of just over 5.4 litres (which is the largest within the entire Miele vacuum range and that of the entire vacuum market). They have also been fitted with little features too, that you will find when you begin using one such as the automatic cord rewind & safety over-heating shut off system. Also, if you are after a quiet vacuum cleaner -- then you can't really go wrong here, where they produce just 68 dB (that is almost 12 dB quieter than the standard vacuum). This is where the major variation occurs between the Delphi & Titan with regards to different accessories etc. but just to mention firstly, what is being kept the same -- the on board attachments include: the crevice tool (which is basically used for vacuuming tight gaps and areas), the upholstery tool (for use on furniture, sheets and curtains etc.) & dust tool (which basically enables powered dusting) all held through a VarioClip. 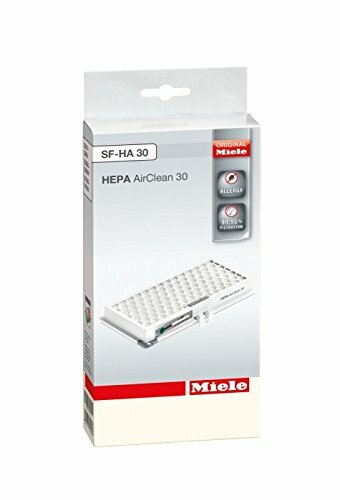 The Electro Comfort Brush (SEB 217-3) - produced to be Miele's 'top of the line' cleaner head (and it really is an awesome cleaner head) -- functioning electrically allows the cleaner head to drive into the flooring to remove dust & dirt particles (particularly effective on hard smooth flooring, rugs and low to mid pile carpets). Furthermore, it is fitted with ergonomic use for the user at the forefront hence the swivel head and 'deluxe' vacuum cleaner handle. The Electro Comfort Brush (SEB 217-3) - already mentioned. The Parquet Floor Tool (SBB Parquet-3) - a very cleverly designed brush tool that is fitted with ultra fine & natural bristles to allow for cleaning on delicate & sensitive hard floors and surfaces (to reduce the risk of potential scratching). With the filtration system the Delphi is fitted with the basic version: AirClean Filter bag which is in place to capture and prevent allergens & dust particles from being expelled into the air during vacuuming. The Titan is however fitted with a more advanced high efficiency particulate air (HEPA) filter system that captures more than 99.9% from being blown into the air -- highly recommended for those who are either asthmatic or are allergy sufferers. You can actually buy the HEPA filter separately (just see below) to fit it to the Delphi if needed. In terms of warranty you get a 2 year overall warranty for both parts and labour and then an 7 year warranty to cover the motor and casing components -- after all they are built to last the "user an average of 20 years". To further note: Miele is ranked with the "Highest in Customer Satisfaction with Canister vacuums" - J.D Power & Associates. Conclusion: Should You Buy the Miele S2: Delphi or Titan? Both cleaning machine versions are really excellent & top-end in their own right & there is only really two subtle differences that favour the Titan over that of the Delphi in the fact it comes with the parquet floor tool as well as being fitted with the HEPA filtration system -- so only in that sense is the Titan a 'step up' from the Delphi. Please do let me know which one you have chosen and why? Further note, that any of the additional attachments, devices, filters can all be interchanged between the S2 when bought individually -- in case you wanted to improve your vacuum later on. Also, if you have any questions, concerns or remarks regarding either the comparison article 'Delphi Vs Titan' or regarding either of the models specifically (e.g. the Titan special features) then please do not hesitate to make them in the comments section just below and we will be sure to get back to you as soon as possible. If you found this article helpful at all, we would really appreciate a 'Like'.